“Once you leave from here, you won’t ever return to even say hello. Nobody does.” Those words cut like a knife. I was screaming in my head, not true. I will come back. I promised myself, I would. The year was 1992. I was passing out of my school. And those were the parting words of a teacher we greatly feared. And then you know how it is. You ramble, you live, you learn and then you earn. I got busy with my life. But somewhere, I had this nagging feeling, I wanted to return back to my Alma Mater. It wasn’t until 2009 and thankfully for Mark Z and his FACEBOOK, that I managed to do something about it. A random statement, saying I was planning to form the Alumni of our school, got me in touch with a few like minded people. 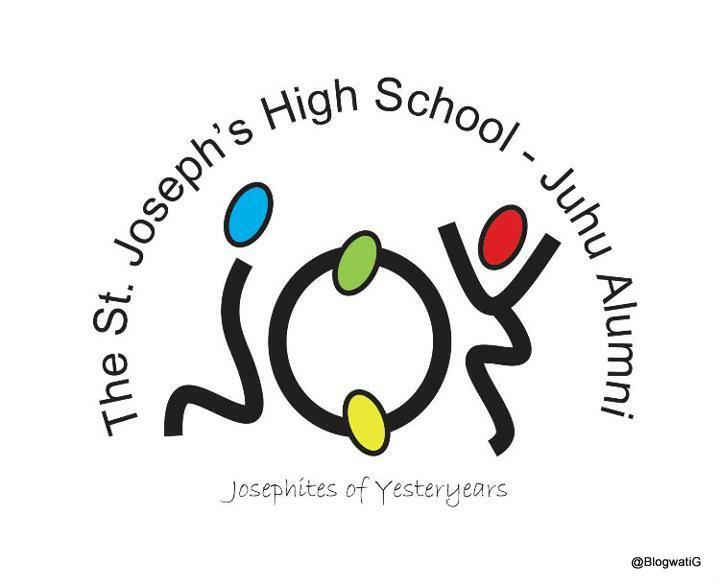 We stuck it out for the next year and a half, and finally October 23, 2010 we officially formed ‘Josephites of Yesteryears. It had not been an easy journey. All of us were in varied industries and hence, timezones. We were made of different stuff. The one thing common we had, was the love for the school. 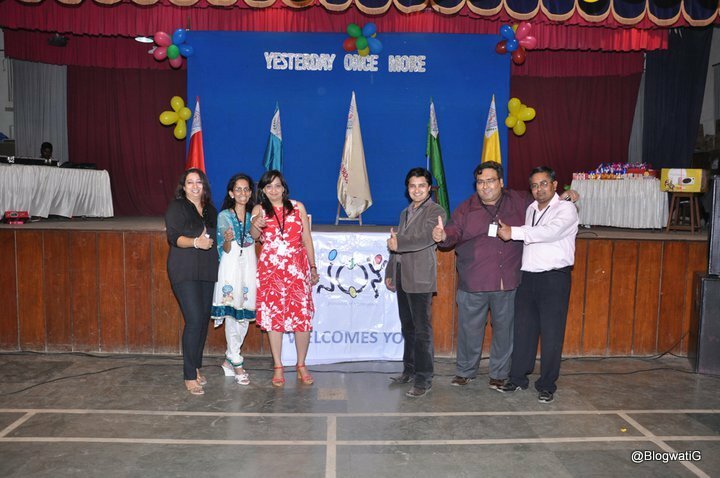 We decided to have the first ever reunion in the history of 104 years of St. Joseph’s High School, Juhu. What were we thinking? We were 6 of us. We were coordinating across batches and trying to trace teachers who’d long left the school or retired. Was it even possible from non existent phone numbers? Well, there was only one way to find out. January 8, 2011 was the D day. And then what followed can only be termed as a single minded devotion to say ‘Thank You Teachers’. 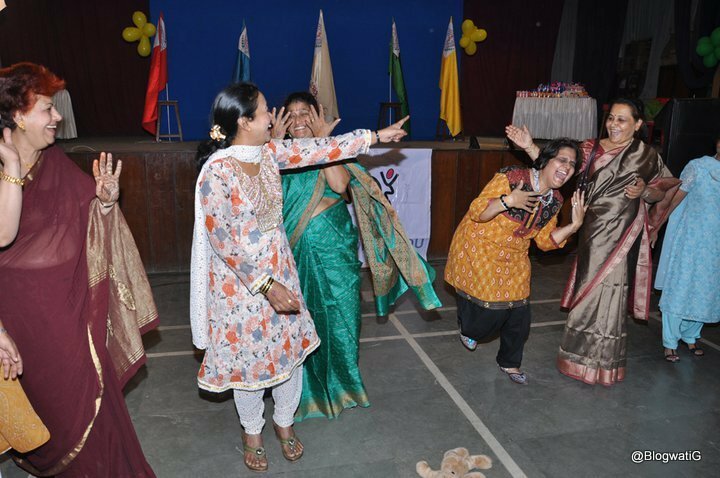 We had a whopping response of about 250 ex students from various batches. Right from the catering to the photography, we had ex students participating everywhere. The REUNION was held in our school hall. The place that had witnessed the best of our performances and debates. Our teachers and staff came from all corners of the city and beyond, taking the number up by another 100 attendees. The ones who could not, made it a point to send messages. We honoured students who had made our school proud. We danced, we chatted, we hugged and we cried. We had a student from the 1969 batch. We had 3 generations of students who came too. We met all the ancillary staff who blessed us with moist eyes. We had an evening we can never forget. It was Yesterday Once More. The Teachers having a field day. 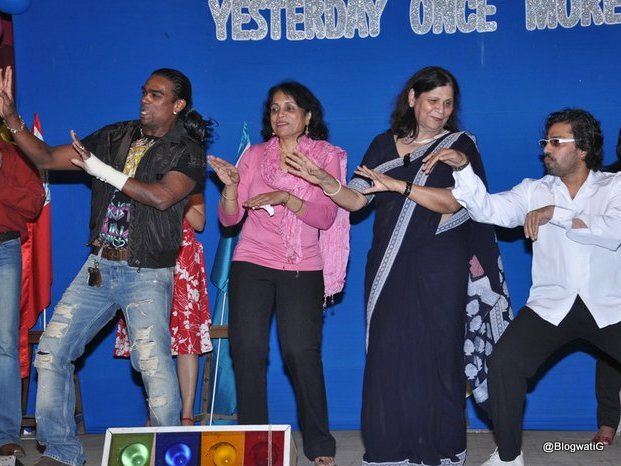 Batch Photo after 20 years of leaving school, priceless! 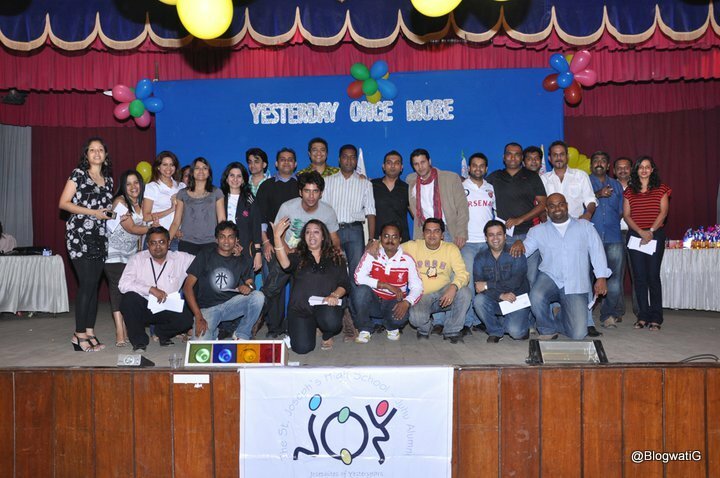 Today, JOY Alumni as it is fondly known is very much active. We had a follow up reunion in 2012. We’ve managed to upgrade the staff room. We have started an annual Talent Contest. We have also tutored kids. We are looking at sponsorship of deserving kids this year. Step by step, we have been growing. We are looking at making a difference to a school that we proudly belong to. And finally, I could tell that teacher of mine, Ma’am, we came back. Truly a moment of joy. The pictures say it all. The logo is brilliant! Another stunning achievement, my dear lady! I can totally identify with that feeling Meena. Awesome and congrats – re-unions are just so much fun. I love love love the logo. thanks for sharing your yesterday once more that took me back to my yesterday once more. *Applause* What an achievement! I simply love the logo. Doing such things makes us feel young and alive !! Yes, it does Afshan. Every year, the logistics are crazy but yes we are connected. Hat’s off Vini fo your dedication. Cheers! Wow, I was the proverbial rolling stone, a year in one place at the max. I have never developed a sense of belonging to any one institution, Wonder where my fellow students are. Managed to locate just two through FB. Hope many more Josephites join and take it off from here. fantastic ! what a beautiful moment to bring everyone together,great post, loved the pictures and your sharing ! Thanks G. It was a great feeling, can only be felt and not described. Wow! what great work… Fantastic and the logo is superb. Brilliant work. So glad to read that it all worked out and how! And this is the moment when you thank social media!! Our school batch has been trying to do something similar, but without much success yet. 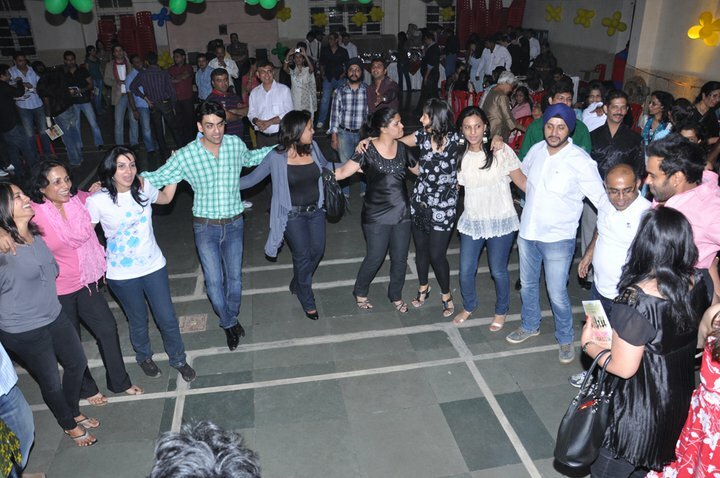 But, we did managed to have two reunions of just our batch – those went off fantastic! Do I have permission to share this blogpost on my batch’s home page on Facebook? Kafi motivate ho jayenge sab log! Fantastic post – love the alumnus name! Of course, Rickie, please share it. I’ll be happy to help in whatever way I can too. Apart from two open reunions, I have also managed to do batch reunions (almost singlehandedly)You see when the Queen summons, you have to be present. I’d love to go back to my school someday with my batch mates. Love the logo, its a very thoughtfully done one. You should return. It is an awesome feeling. I am sure you had a lot of fun and satisfaction on that D day ! Vinita, this post brought tears to my eyes. My congratulations to you not only for creating an alumni association, and that stunning logo, but also for the joy on all those faces. Thanks Cynthia. I totally get the feeling. Yup, JOY all the way. Proud of you Vini <3 .. few people can put their heart into something and really make it happen as planned. Thanks Sharmila. I am glad I ventured here and got the job done. Ah, I think it has a great deal to do with the generation we were born in 🙂 thanks none the less. Love, love that you did that for your school! Took me back to my school! They do, don’t they? Thanks so much for the kind words.